Here is my last picture with ASI 385 on the "great bird" of Orion. during 3 partial nights before arrival of clouds. 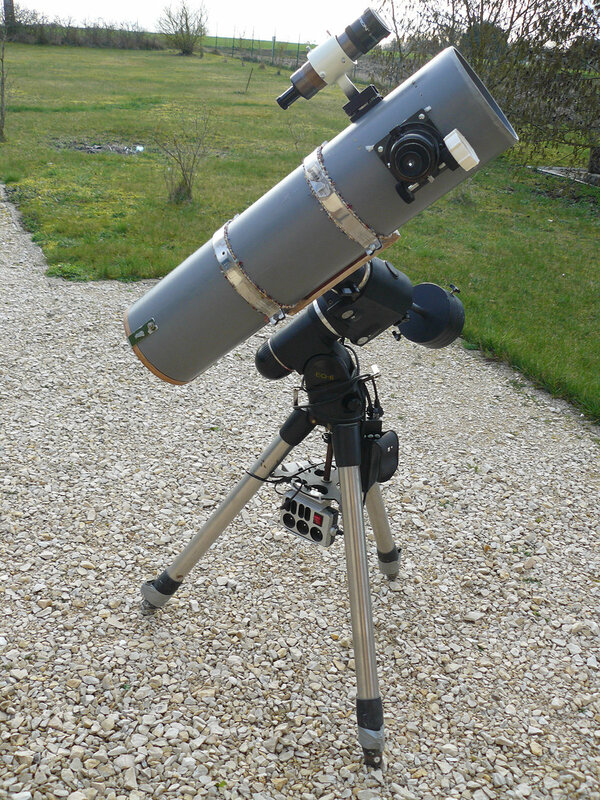 150/750 made with a plastic 200 mm PVC hose and second-hand Meade optics. M42 is too large !! Acquisition software : Sharcap 3.0. Visual sort out of raw images. Wow! Beautiful image. I love clearly seeing both the extended gas clouds and the Trapezium. It looks like you can see hints of the E and F stars too. Edited by cookjaiii, 11 March 2018 - 04:56 PM. it is a beautiful picture! it is amazing to see this cloud of dust in front of the trapeze as well resolved. 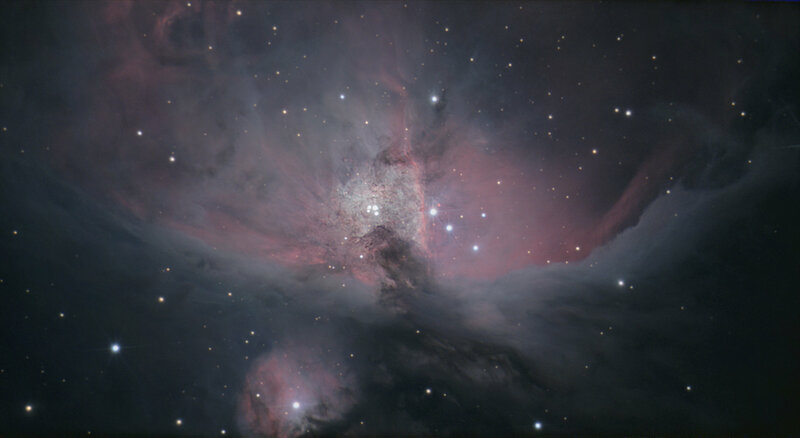 Are you seeking the further way of the development of astrophotography? 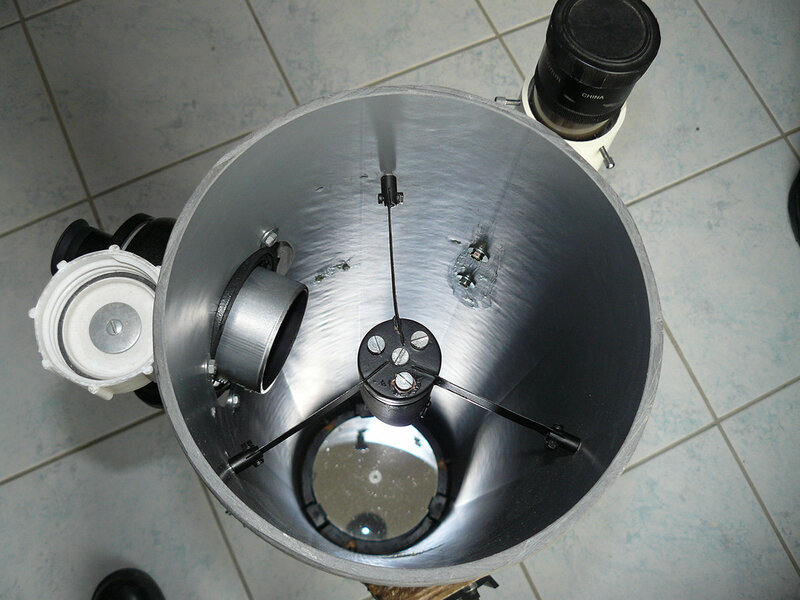 Do you have some photographs of the telescope? Wow! Great image, and I also would like to see pictures of your "MacGyver Telescope"! Very nice rendition of this very iconic subject. Great work! With so many M42's out there, you have created a very nice and unique representation, which isn't easy! Many thanks for your great messages. So here is "the beast", the "patchy" Frankenscope. Also named the "APO terror". coming from an old Orion Optics 300/1600. - Eyepiece holder is the original awful old eyepiece holder Orion Optics. Lot of free play. Very difficult focusing even if I add a large cork to help. No pain, no gain, as you know ! Edited by calypsob, 13 March 2018 - 09:07 AM. That is great.. The image, processing and the scope Very nicely done indeed. result with a basic setup !